rub Kanadský vlk šedý stojící v horské krajině se stromy v pozadí a s měsícem nad sebou, rok 2006 a iniciály "WW"
Kanadský vlk šedý stojící v horské krajině se stromy v pozadí a s měsícem nad sebou, rok 2006 a iniciály "WW"
Stříbrná mince Kanadský vlk šedý 2006, 1/2 oz The limited edition, 9999 pure silver, 2006-dated 1/2 oz "Timber Wolf" celebrates Canada's Wildlife. The reverse design of 2006 "Timber Wolf" silver bullion coin is the work of Senior Mint Engraver William Woodruff and its obverse features the Susanna Blunt effigy of Her Majesty Queen Elizabeth II. 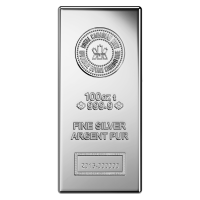 This 9999 pure silver bullion coin bears a face value of $1. 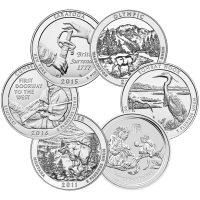 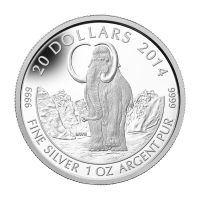 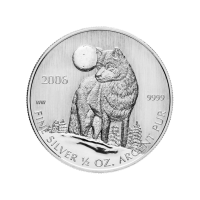 It bears a striking resemblance to the 2011 Timberwolf, but is not part of the Royal Canadian Mint Wildlife Series. 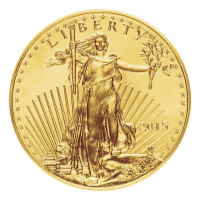 With a worldwide mintage of only 106,800 this coin is a rare treasure.